We wish Merry Christmas and Happy New Year to all our customers, users and blog readers! Thanks for being with us in 2013! We hope for long-term cooperation with all of you in coming year of 2014! Packt announces $5 eBook Bonanza is here! From December 19th any customer can buy any eBook or Video for just $5. You can grab as many items as you like until January 3rd. In their book Ehsan Arasteh and Afshin Mehrabani wrote in detail about requirements for IntroJs usage and the way to download and configure the library. They provide step-by-step guide to creating introduction page using IntroJs. IntroJs API is described briefly by authors. To get maximum from IntroJs you can use it together with other frameworks. The library also can be localized and used in both left to right and right to left versions. "Instant IntroJs" will help everybody make his or her website attractive for users with minimal efforts. As you all probably know Visual Studio 2013 was officially launched last week. Even old plain MFC get a little bit updated. Error 1 error MSB8031: Building an MFC project for a non-Unicode character set is deprecated. You must change the project property to Unicode or download an additional library. See http://go.microsoft.com/fwlink/p/?LinkId=286820 for more information. So it is still possible to use Multi-Byte but with additional library. In default configuration you can only use Unicode. Well, this is probably reasonable. Also, this is applicable not only to C++/MFC, but still: Peek Definition seems to be the great feature! The book will be useful for persons who have some previous experience with jQuery. No prior knowledge about Zepto.js is required. Ian Pointer starts with describing of several ways of getting Zepto.js and checking it is working correctly for you. Then author talks about API of library comparing it to jQuery. One of the most interesting features of Zepto.js is animation and Ian Pointer gives several simple examples of animation in his book. Also support of touches and gestures is described. There is also some more advanced material in the book. It includes instruction how to build your own custom version of Zepto.js and introduction into Zepto.js plugins. Sale - 20% off the price for Disc Collection! Big sale is here! ElanGroup gives each customer 20% discount for Disc Collection. Now you can buy our application for managing home multimedia collections for only $27.99. This is a wonderful chance to buy our highly customizable and powerful program. As always, you will have 30-Day Money Back Guarantee. Or you may just leave a comment here. We just released Disc Collection 2.7! ElanGroup,Ltd. is happy to announce Disc Collection 2.7, this is the new version of our well-known multimedia collection manager. Great search improvements and several bug fixes are there in Disc Collection 2.7. You are welcome to try it for free during 30 days. After purchase you have also our 30-day Money Back Guarantee. Follow our blog, RSS and Twitter - we expect more exciting news about Disc Collection soon! Marking Columbus Day 2013, Packt Publishing (www.packtpub.com) gives you a chance to explore their catalog of books and videos at 50% off. 50% discount code COL50 will be active for all books and videos until Thursday, October 17th. Disc Collection 2.6 was released! New version of our program - Disc Collection 2.6 - is available! Faster search, better user interface and special optimization for Windows 8. Wallpaper Updater 2.4 has been released! We have just released the new version of our free wallpaper manager program - Wallpaper Updater 2.4. It includes Custom Period and other exciting features. Packt Publishing has recently published ".NET 4.5 Parallel Extensions Cookbook" by Brian Freeman which may be helpful as an introduction into new methods of working with multi-threaded applications available since .NET Framework 4.0. The book will be useful for those developers who already have experience with C#, basics of functional programming and Visual Studio. Previous knowledge of threads, thread pools and related concepts is not required though. The author starts from detailed description of Task – how tasks should be created, cancelled, waited for completion, how exceptions should be handled and so on. Each small piece of information - which is called recipe in the book - is provided with code. From single Task author then goes to description of continuations – how multiple tasks may be organized in program and how one task can be scheduled in case another task completes or fails. Idea of continuations helps to solve well-known problem of updating GUI in multi-threaded application. Brian Freeman explains how to use parallel loops and parallel LINQ queries and, what is even more important, when they have advantages comparing to the similar sequential entities. Other interesting topics covered in the book include: thread-safe collections, coordinating the work with various synchronization primitives, debugging of multi-threaded application using Parallel Stacks / Parallel Watch windows. Several recipes are devoted to Task Based Asynchronous Pattern. Brian Freeman's book is a great reference for the developers who would like to start using Parallel Extensions library as soon as possible. Though to understand deeply how this library works inside, reading of some other books may be also required. It is possible to print various pages in C# WinForms application (to printer or to file) using QueryPageSettings event of PrintDocument. In PrintPage handler it is not already possible to set page settings, if you want to change settings for a page you should do this in QueryPageSettings handler. Generally, you should handle PrintPage event also, for instance, to specify whether you have more pages to print or not. Visual Studio 2013 can be installed on the machine together with the previous versions of Visual Studio like VS 2012 or VS 2010. 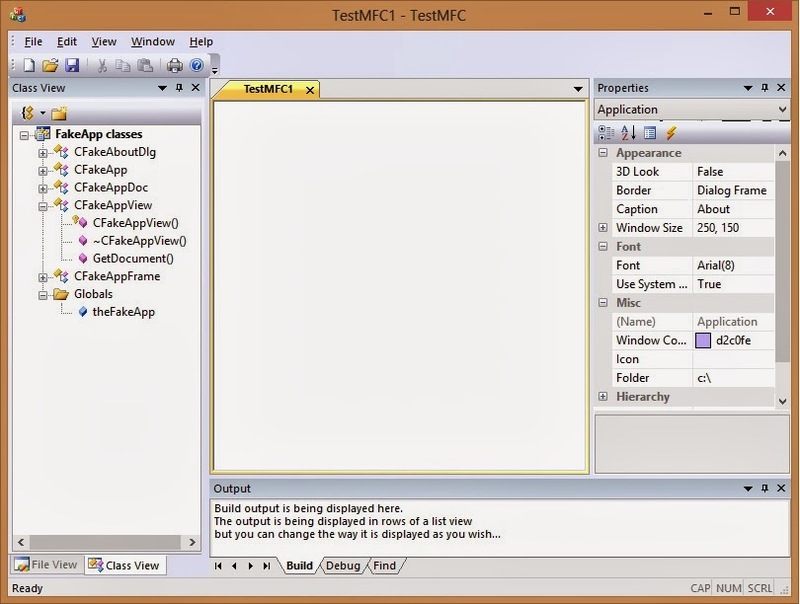 Along with Visual Studio 2013 Microsoft announced .NET 4.5.1. This is a compatible update for .NET 4.5 and it will be the part of Windows 8.1. While we have to wait for .NET 5.0 for some revolutionary features, .NET 4.5.1 includes mostly enhancements targeted in developer productivity and application performance. 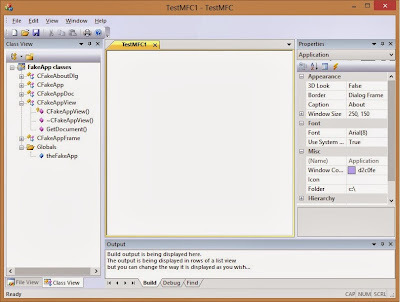 This class is intended to provide information about secondary tiles of start screen. Secondary tiles allow you to personalize the Start Screen by having links and different kinds of other elements. This way you will get all the tiles belonging to calling application. Using another overload, you can get tiles belonging to another application from the same package. You can't get all the tiles from Start Screen - there is no way of doing that! New tile can be created using RequestCreateAsync. You should set all the necessary properties of SecondaryTile object before calling this method otherwise you will get an exception. After you will create secondary tile this way, it will belong to your application, of course. Existing tile can be deleted using RequestDeleteAsync. So the programmatic access to StartScreen seems to be limited. If you have any other ideas, you are welcome to share them. Do you know how to tune StartScreen programmatically? Inno Setup 5.5.3 has been released! The most important thing is that Inno Setup seems to be fully compatible now with Windows 8 and Windows Server 2012 with all the changes made in 5.5.2 and 5.5.3. Let's talk about the flag excludefromshowinnewinstall, it is used in [Icons] section and has no impact on systems earlier than Windows 7. Concerning Windows 7 and Windows 8, this flag has a different effect. On Windows 7 the flag prevents entry from receiving highlight after installation in Start menu. As for Windows 8 the flag prevents entry from being pinned to the Start screen. Also new version of Inno Setup includes changes in Restart Manager, new translations, new command line parameters and other minor things. Qt 5 Final Release is here! New version of Qt Creator was also released (2.6.1) which is intended to be used with Qt 5 version. We didn't have time to try all this before Christmas/New Year break but definitely will do it now. Some things still lack like binary packages for MinGW as they have some problems with WebKit. Hope these small problems will be solved soon.